3. Add in the keywords one by one by clicking on the "+". Remember to start with the most specific keywords first and move to the most general. You should target 20-25 keywords for every video. There's no penalty for adding a bunch, just make sure they are pertain to the content. Note: When adding tags pay special attention to the numbers next to each. The bigger one is "relatedness" . The second one (smaller number) is amount of shared keywords. You can see the shared keywords by hovering over the keyword being suggested. 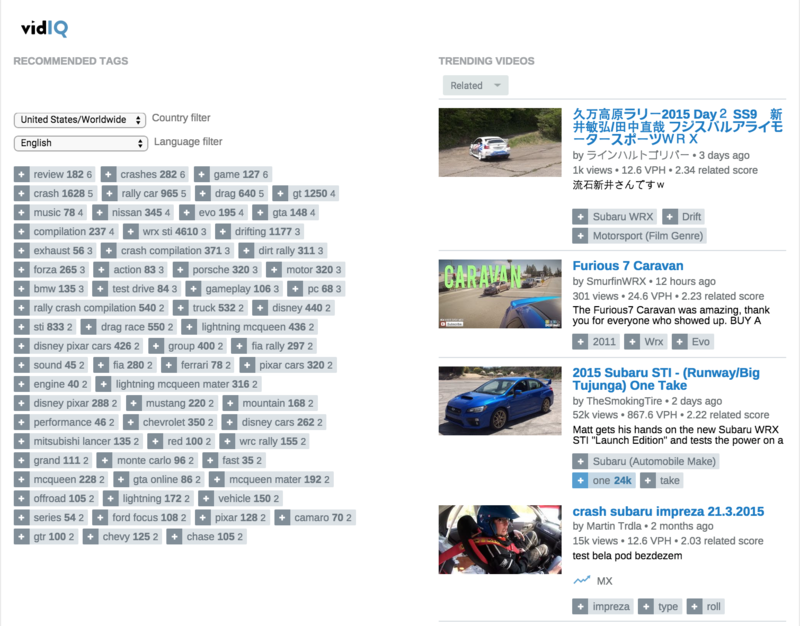 *Using Trending Videos to Draft* You can also use the trending section to identify popular videos you can piggyback on to increase your views. We call this "drafting". Like a sports car in a race you can leverage the slipstream behind popular videos to jump ahead. 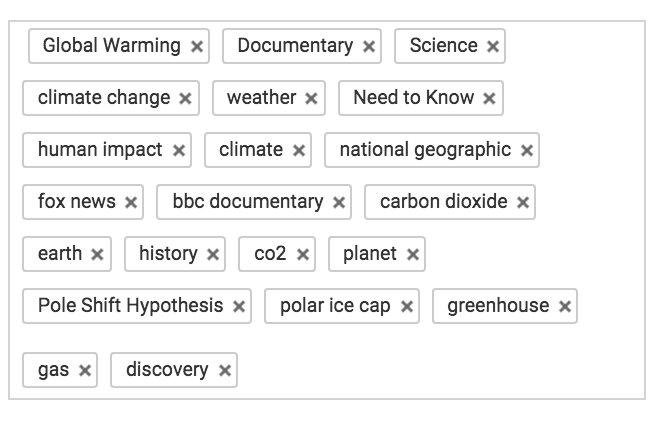 It's simple, once you find a video very similar to your own you can reuse it's keywords so that YouTube will evaluate and potentially associate your video with the popular one. Use the Creator Studio to navigate to the video you want to optimize and click on the "Edit" button. 4. Add in the keywords one by one. Remember to start with the most specific keywords first and move to the most general. 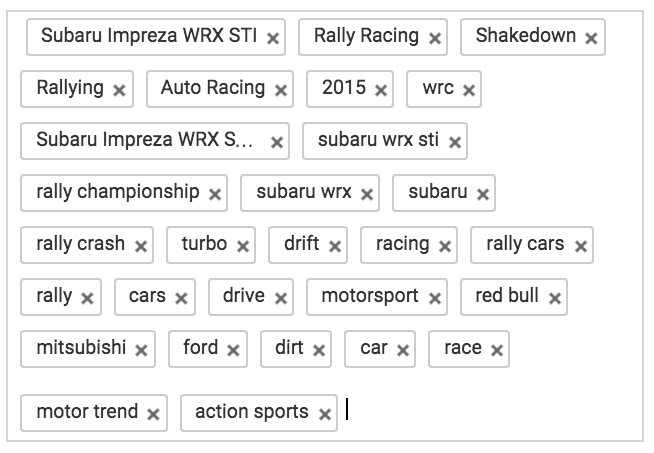 You should target 20-25 keywords for every video. There's no penalty for adding a bunch, just make sure they are pertain to the content. As you add more keywords vidIQ will find more words that fit, so keep on clicking! 5. 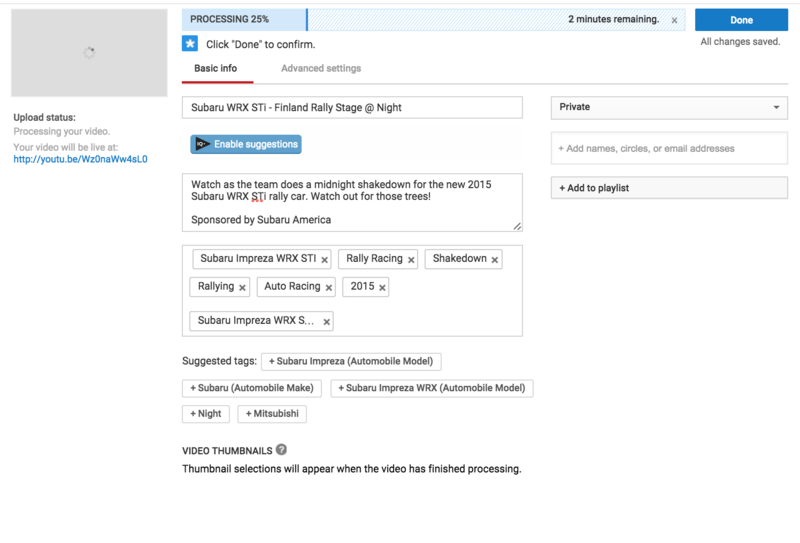 You can also improve your video's title and description using the "Enable Suggestions" button. vidIQ recommends strong keywords you should work into your title and description. The general rule of thumb is use your strongest keywords in both your title and description. Consistency is key! 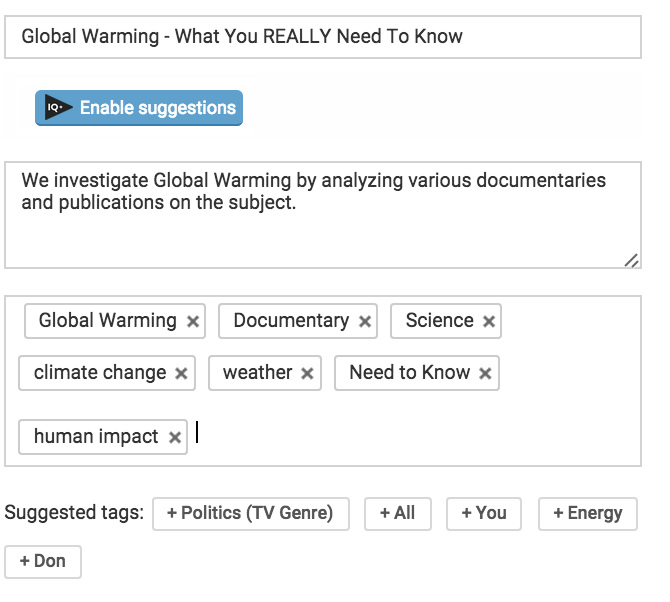 *vidIQ Tip* Recommended tags help new uploads much more than older content, so we recommend using your optimization credits for new content. If you're a first time user and you're not familiar with vidIQ Pro, we recommend you look at the Getting Started Guide to learn about all of the great features included with your account.